Resolutions aren't for everyone. Up until, well this week really, they weren't for me either. 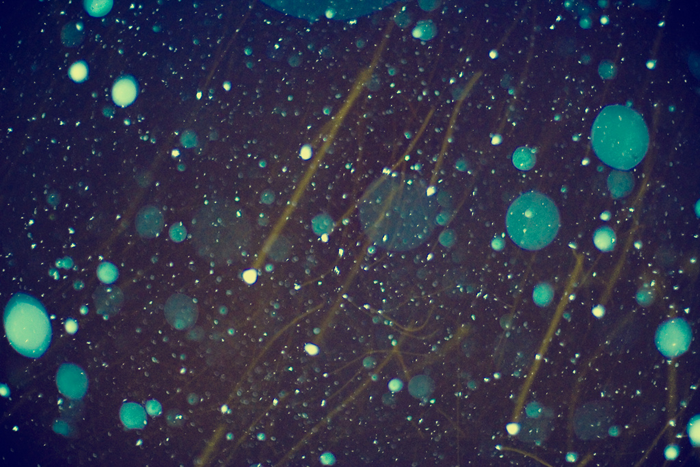 Of course tomorrow is just another day. It's a Wednesday. The middle of the week. Half way from the beginning and half way to the end. But it's also the start of a brand new year. This year, to me it's something more than Wednesday. It's a clean slate. 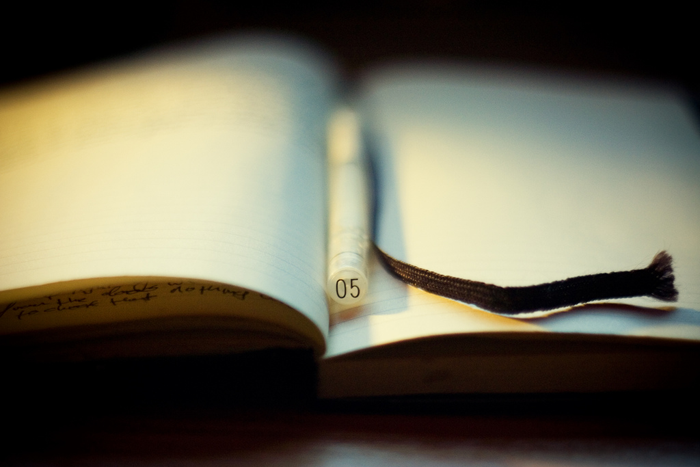 It's a fresh page in a brand new notebook. It's that point in the road that I'm choosing to turn left instead of trundling straight on. And the very thought of it has been that little ray of light in the distance that I've been heading towards in the hope that I'll reach it in one piece. And I did. I made it out of 2013 and I'm very happy to close the door on it, leave it behind and move forward! These aren't really resolutions as such, it's more of a list of goals, things for me to work towards over the year that may end up changing and if that happens, then it's okay. + There are currently a lot of empty frames and pictures that need to find frames piled up on our kitchen table waiting to be hung up. It's one of those things that we've been putting off because I think we were both a little tired of constantly doing things around the house. 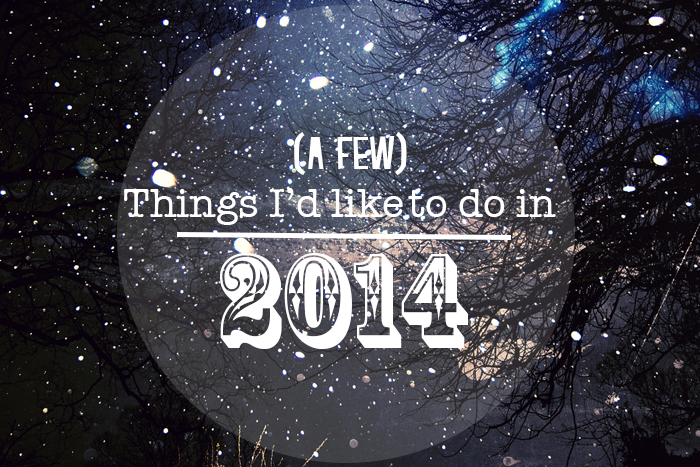 We still have a seemingly never-ending list of things to do, some are more long-term things (i.e. they're crazy expensive and we need to save for them or the disaster that is spare room that we don't really use so we're using it for storage at the moment!) but getting some more pictures printed and hanging them up is something we can totally do this year. We definitely want to have a gallery wall somewhere too, we just need to decide which wall to use. I think once they're all up it'll also make the place look a lot more homely & personal. + This year I deliberately stopped taking a camera everywhere I went for the first time in years. Instead of enjoying myself wherever I was, I had been finding myself just constantly on the lookout for photo opportunities and I felt like I was missing out. This year I'm determined to find a balance between having a nice time myself and pausing for a few seconds every so often to snap a quick photograph. I have some instax film on its way to me and I definitely want to shoot some more 35mm as well as digital. And who knows, maybe Mark and I will get around to opening that print shop we've been talking about for years. It'll be nice to work on something together! + Even if it's just a picture or a few words that mean something to me that day, I don't think that everything has to be perfect all the time. This is one I'm hoping will feel a little less daunting when my life is more organised as per above goal! I've shoe-horned the word almost in there because I don't want to post something if I feel like I don't have anything to say or to share. After reading the comments left on my blog survey, there were some that particularly resonated with me, which I will talk about in a post shortly - they were all so helpful, the good and the bad so thank you if you filled it out for me! 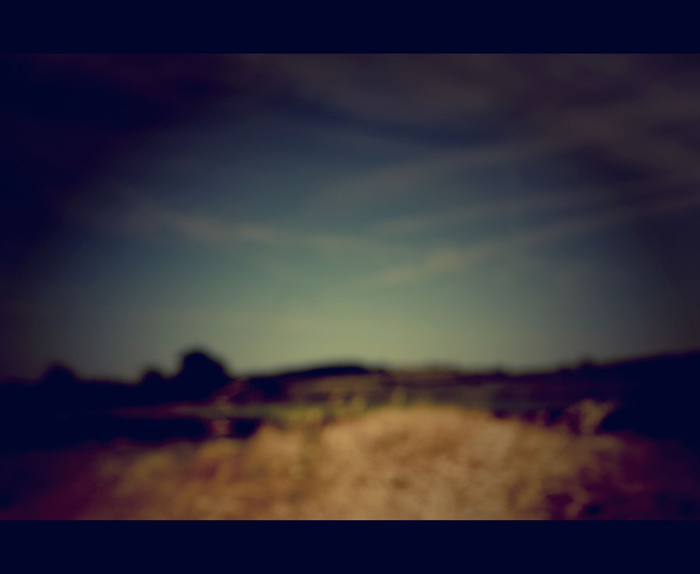 Some of them left me feeling a little bit...scared almost of my space here. But I'm trying to remind myself that I can't please everyone all of the time and all I can really do is make this a space that makes me happy and hope that you like it too. + In posting daily, there's so much opportunity there for me to experiment with content and it's almost like I'm giving myself permission to have a little bit of fun with trying out some things that perhaps aren't so much in my comfort zone. I did make videos for a little while but there are so many people that make the kind of videos I was making about a zillion times better than I ever could, so I stopped. It didn't register at the time that there were so many other kinds of videos I could make so we'll see how that goes next year. I'm not going to tell myself I'm going to make a video a week or anything, I'm just going to have a play around and see what happens! + Lastly, next year I'd like to do more. Whether that's getting things done around the house, trying something new that I've never done before or going on more mini adventures. I've lived in Derbyshire for a few years now and I still haven't been inside Chatsworth House, which is silly because I've wanted to visit for absolutely ages. Hopefully gone will be the days of me putting things off for good...! Do you have any goals you're going to be working towards achieving next year? Before last August I could probably have counted the amount of novels I had read in the past 3 years that weren't for University on one hand. This was something I hadn't even realised had happened and when I thought about it I was 1. shocked and 2. a little embarrassed! I guess I lost my love of books for a little while somewhere along the line and it took an inspiring University module to really make me fall in love with them again. My list of books I would love to read is growing by the day and I'm already looking forward making a small dent in that list next year! These are just a few of my favourite reads that I've managed to squeeze in between University work over the last few months. I don't really have a favourite genre and at the same time I quite like mixing things up a little and reading out of my comfort zone. Hopefully this will be something I continue into next year too. + This is a classic and I remember trying to read this once and giving up a little way through, but I can't remember why I gave up on it. I had a rough idea of the story but I wanted to read it close to watching the film to refresh my memory a little and I loved it. 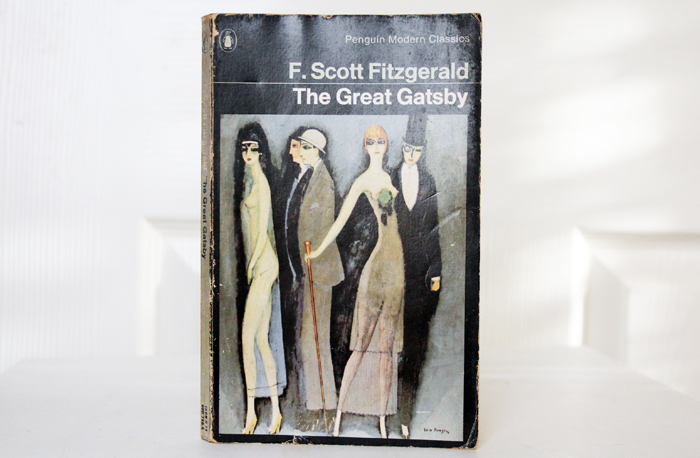 I also really like this old edition, it's been sat on my bookshelf for years and although it's looking very tatty around the edges, I like that it's almost got a life of its own now. + I bought this not so long ago because I really wanted to see Kill Your Darlings at the cinema and I'm pretty intrigued by the whole beat generation in general. 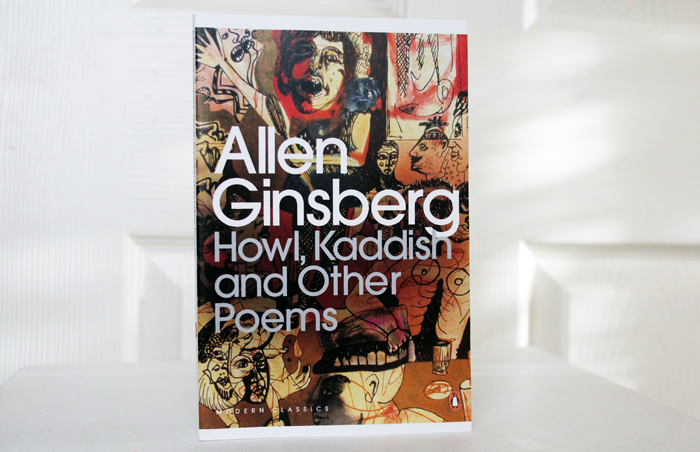 I'm the first to admit I'm not hugely into poetry but I found some recordings of Allen Ginsberg reading Howl over on youtube and I've been feeling pretty inspired by this book. I like dipping into it every now and again and I'm really happy to have it on my shelf. + This was very kindly sent to me from Penguin Ireland and from the very first page I was completely and utterly hooked. 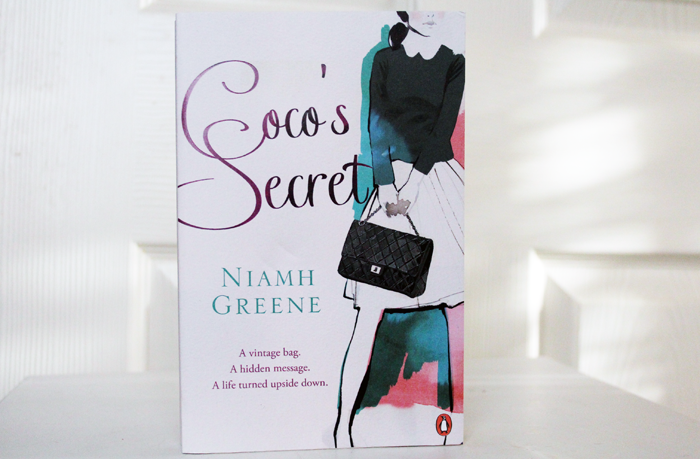 The story is beautiful and Niamh Greene's writing is utterly wonderful, she even had me tearing up towards the end and that doesn't happen to me very often when reading a book. Such a sweet read and I have a full post all about it (with no spoilers!) here. 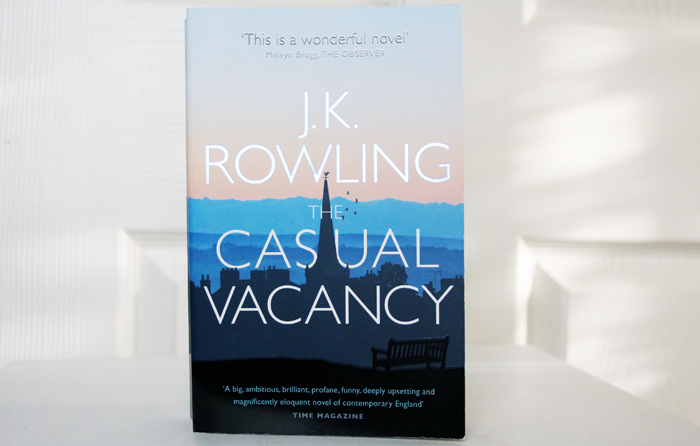 + This is a book I was pretty nervous to read at first because, well, Harry Potter was my childhood and I was crossing my fingers tightly that I would enjoy a novel by J. K. Rowling about something completely different. Turns out I shouldn't have worried because I loved it but I can totally see why this is a love/hate kind of novel. I wrote a very long post about it here again with no spoilers! 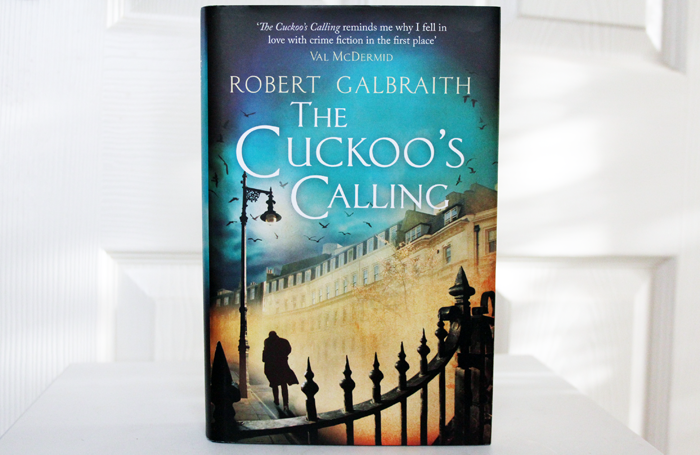 + This is J.K. Rowling writing under a pseudonym and I knew this when I bought it, but I tried to read it as if it were by Robert Galbraith, an author I knew nothing about. 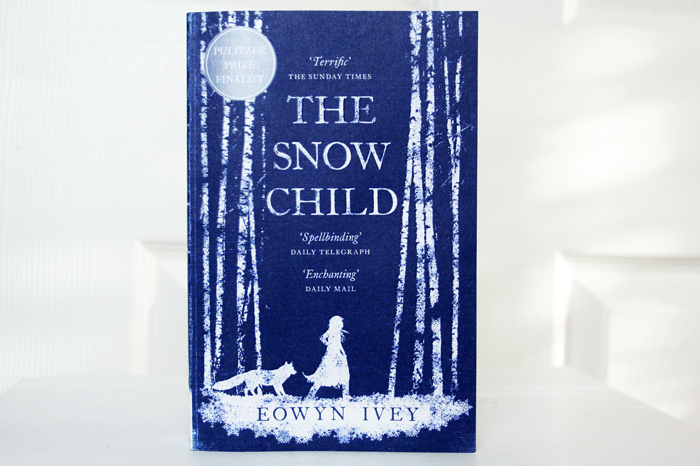 The relationships between the characters is one of my favourite things about this novel and although I did figure out who-did-it (but only just before it's revealed!) I loved it from beginning to end. I like that this book isn't totally about who committed the crime, the characters and their complexities is a huge part of the story too. I hear that another Galbraith book should be published next year, which I'm pretty excited about! + This is the last book I read this year, I'd been saving it for around Christmas time and it didn't disappoint, except for the very end maybe. It's a beautifully told story, with stunning descriptions of the locations and such sweet relationships between all of the characters. The ending fell a little short for me but this book was totally worth the read for the first 300 pages alone. If you'd like me to do a full review post on any of the books that I haven't already, do let me know! 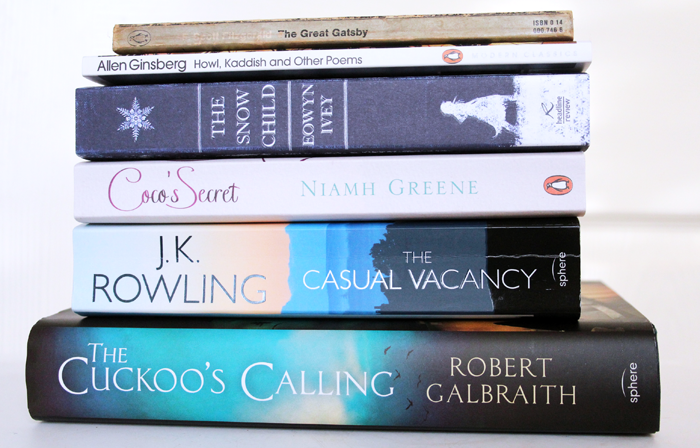 What was your favourite read of 2013? 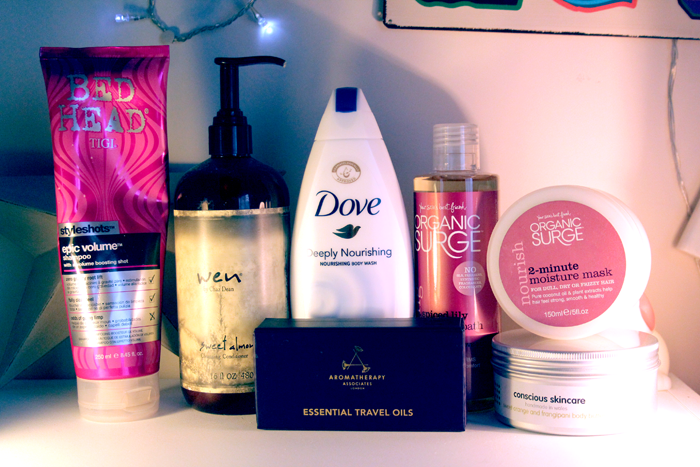 The last post in my best of 2013 series (see my favourite skincare products here & my favourite hair, bath and body products here!) 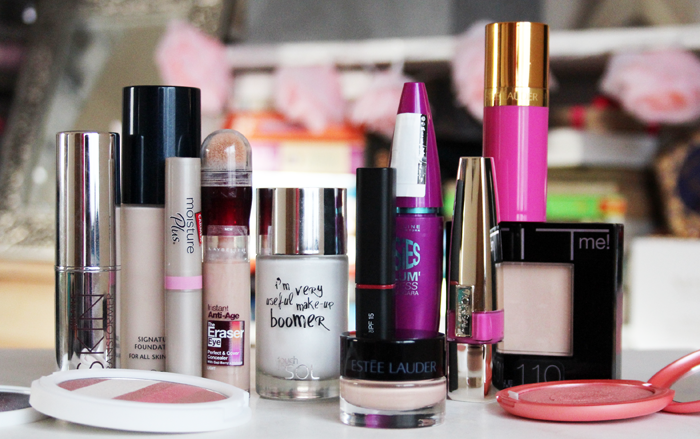 is dedicated solely to make up, which is one of my favourite things to talk about! It took a little while to narrow my list down enough so that we both wouldn't be here all week, but I got there in the end! As always I'll keep my descriptions brief, but if there's anything you would like a full review on just let me know! + This was in my favourites last year and I have loved it just as much this year. My first bottle was sent to me for review and I'm now very happily almost nearing the end of my second bottle. The packaging is lovely, the pump is really good quality and the lightest shade is the perfect match for me. When my skin is super dry I can't wear this because it can cling to dry patches ever so slightly but that's the only fault I can find! It gives a really natural semi-matte finish with a medium to buildable coverage. 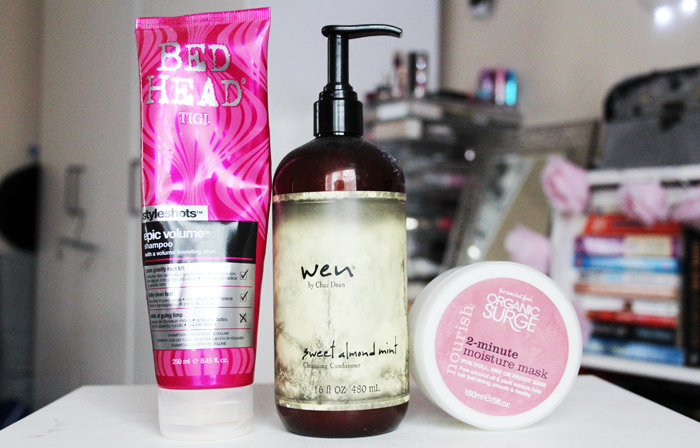 + I wasn't expecting to love this as much as I do, but this is a product I really enjoy using. 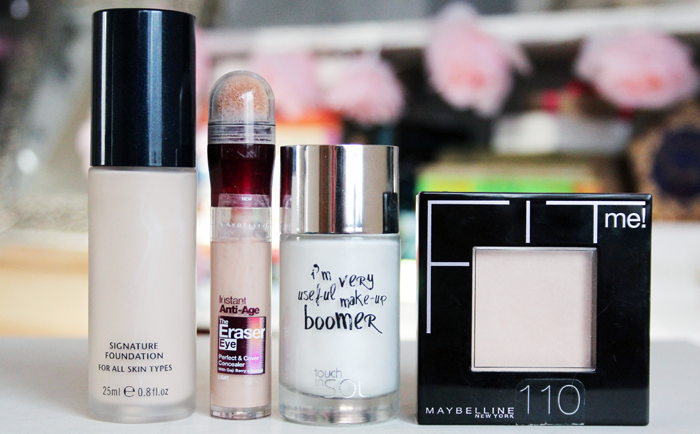 This doesn't give incredibly high coverage, but it's just enough for those minimal make up days. When I want a little extra coverage I just use a little of the Collection Lasting Perfection concealer and the two seem to work really well together. 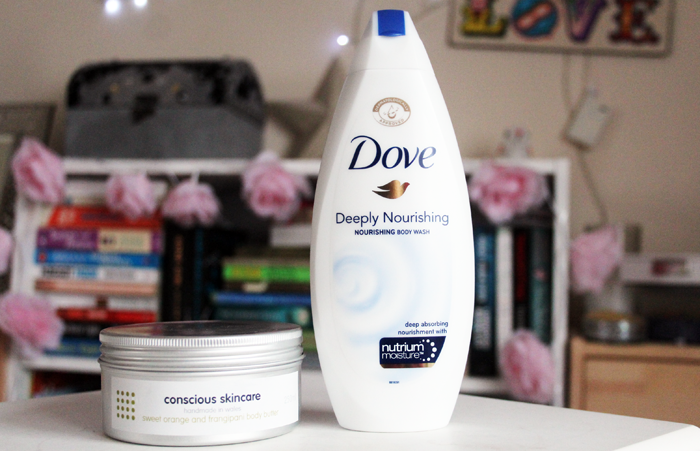 It blends really easily and feels so lightweight it barely even feels like I'm wearing any make up. Lovely little product! + This has the cutest name ever but I'm not sure that it's available anymore so I won't talk about it too much. I use this when my skin needs a little extra brightness underneath my foundation and it acts as a lovely primer. If this sounds like something you would like definitely have a look at the Illamasqua Satin Primer, I think they're quite similar! + This is definitely my favourite pressed powder of all time. I've definitely talked about this waaaaay too many times already so I'll keep this brief! The shade 110 is the perfect match for me and somehow, no matter how much I apply in my sleepy state in the mornings, it never looks cakey! 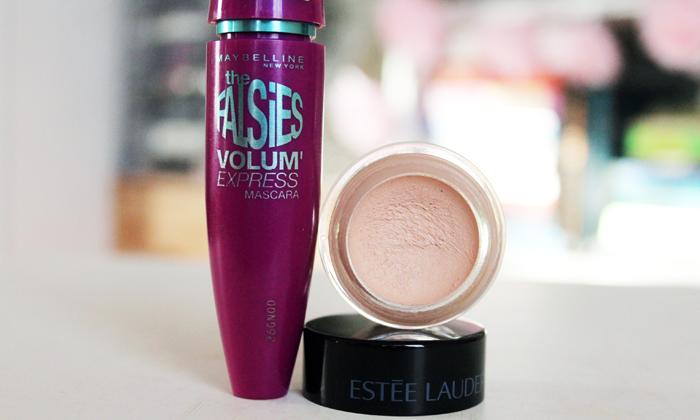 + This is pretty much the only mascara I've repurchased constantly for most of this year. This mascara really holds a curl, lengthens and gives a nice amount of volume to my lashes. It doesn't smudge either, which is one of my favourite things about it! + These little pots are really lovely! These are one of the only things that actually stay on my oily eyelids all day, so I'm incredibly impressed! I have a few colours and they're all consistent in formulation. This shade is called Halo and it's definitely my favourite, it's really versatile and looks as lovely on its own as it does as a base for other shadows. + I have this in the shade fresh rose and it's the most beautiful natural rosy coloured cream blush. It never looks too bright or too dark and it blends so easily. 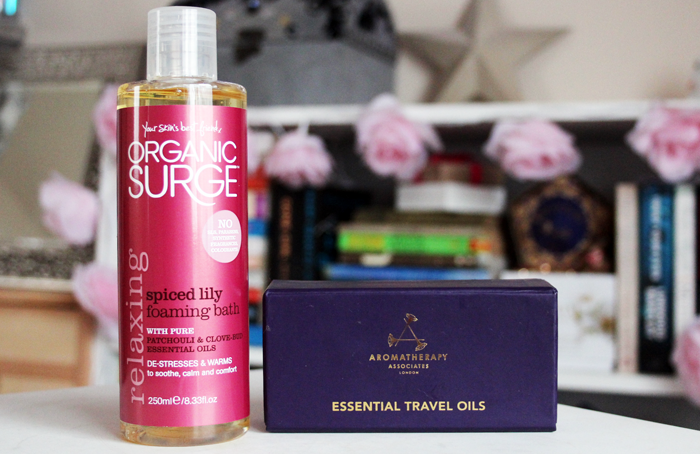 I had never heard of this brand before so I didn't really know what to expect, but I was very pleasantly surprised and I'm definitely going to have to look into some more of the products in the range! 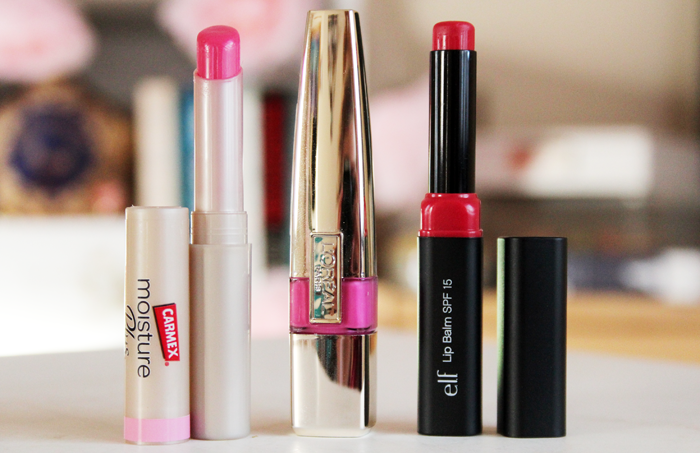 + If you've always wanted to try a gel blush, I would go for one of these. The colours look incredibly bright in the tube, but they're super sheer and look so natural and pretty when they're blended in. I've tried 2 of the 4 shades and absolutely loved them both - pink patent gives a hint of pink to my cheeks and x-pose rose gives a slightly more pigmented fuchsia glow. A little goes a really long way too, which is always good when a product is on the pricey side. The only down side is that the pump isn't very precise, one full pump gives way too much product so you do have to be a bit careful to not waste any. Worth the extra effort though, they're lovely! 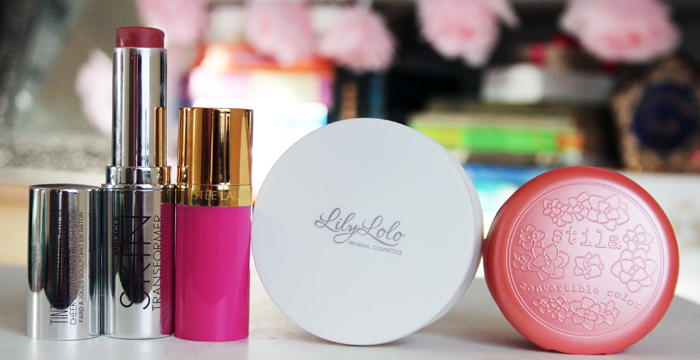 + Lily Lolo is one of my all time favourite make up brands, their products are always such good quality and the colours are beautiful. This is the first of their pressed products I've tried and I loved it from the first time I applied it. Giving the prettiest pink glow to my cheeks without looking too flat or too shimmery and it's definitely my favourite powder blush of the year! It's currently on sale too if you've been thinking of trying it! + If you stop by a lot, I'm sure the inclusion of this product is no surprise to you! Easily my favourite cream blush of the year, and possibly favourite cream blush of all time, I honestly can't say enough good things about these. This colour in particular gives the prettiest neutral flush to my cheeks and the formula is lovely - it practically blends itself it's so easy to apply. If I use a really good lip balm, I also love this on my lips too, such a good multi-purpose product and worth every penny! + I'm not the biggest fan of the Carmex that comes in the pot, it doesn't really do a lot for my lips but I've really been enjoying using their new-ish tinted balms. This is the pink shade and it gives a really beautiful light pink tint to my lips that's actually a lot more pigmented than I was imagining. Super smooth to apply and beautifully hydrating, this has become one of my make up bag staples! + I know that a lot of people weren't so into these, but I totally fell in love with them this year. Admittedly I don't love all of the colours in the range, but there are a few really wearable ones that I've enjoyed wearing, especially Marylin a beautiful pink. They're long lasting, they don't smudge or wear unevenly throughout the day and they feel comfortable on the lips. They're a tiny bit sticky, but I don't think they're too bad and the fruity scent they have is pretty nice too. + Another tinted balm favourite over the last few months especially has been this one from ELF in the colour Rose. This feels really similar to the carmex one on my lips just without that classic carmex scent and I love it for the exact same reasons. The pigmentation is really good, it applies smoothly and feels so comfortable to wear. These are so affordable too, I definitely want to get the peach shade in time for spring! What were some of your favourite make up products during this year? I'd love to know so I can try them out next year!